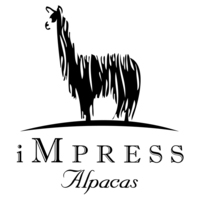 iMpress Alpacas is a farm located in Rockton, Illinois owned by William Ward and Michelle Pressler. 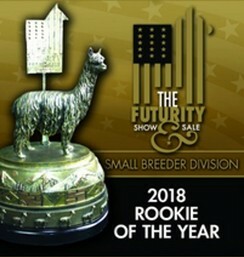 We are super excited to be named "Rookie Breeder of the Year" for 2018 at The Futurity! We have updated Carmella's winnings since the 2018 National show! Can you believe it? A Color Championship with her 3rd Fleece! Her brothers are rocking it too both in the show ring and fleece shows! 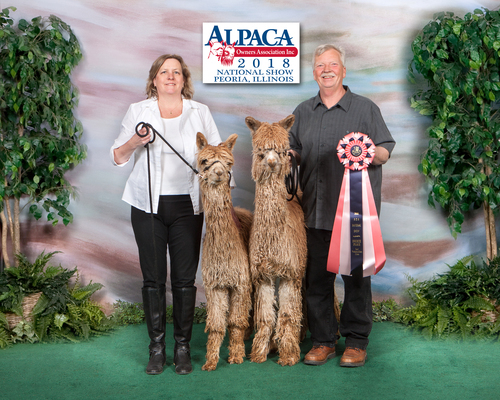 IAF Sampson received Reserve Color Champion at the 2018 All Fleece Suri Network Show! That is 3 offspring from our herdsire (Pablo) and all have one a Championship or Reserve! We are updating our sales list constantly so please have a look around. Also contact us if there is something in particular you are after-we may just have what you are looking for! Carmella has done it again! We just got back from Nationals and Carmella won Suri Female Fawn Color Champion! This is especially amazing because she was showing in her 3rd fleece! Her brothers made their debut and they did not disappoint! We are still working on our webpage to unveil what we have been doing for the last couple of years. We have been up to something for sure! The outcome of our breeding program has been over the top with the introduction of IAF Carmella and now her siblings who have been winning Championships! We are excited to start showing everyone the fruits of our labor and hard work as they continue to mature. We have been recognized with the Futurity's 2018 Rookie Breeder of the Year Award and could be happier! We have exquisite alpacas which are blossoming from the best of the suris in the business both from a genetics perspective and champion fiber lines. The 2018 crop of cria are over the top and certainly iMpressive! You can keep up to date on our Facebook page-iMpress Alpacas!